Today most of us accept the consensus that madness is a medical condition: an illness, which can be identified, classified and treated with drugs like any other. 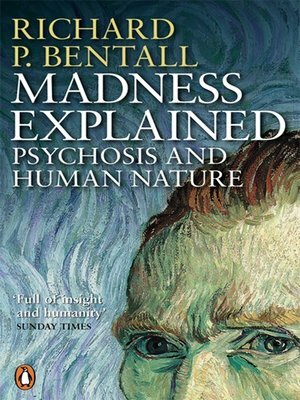 In this ground breaking and controversial work Richard Bentall shatters the myths that surround madness. He shows there is no reassuring dividing line between mental health and mental illness. Severe mental disorders can no longer be reduced to brain chemistry, but must be understood psychologically, as part of normal behaviour andhuman nature. Bentall argues that we need a radically new way of thinking about psychosis and its treatment. Could it be that it is a fear of madness, rather than the madness itself, that is our problem?